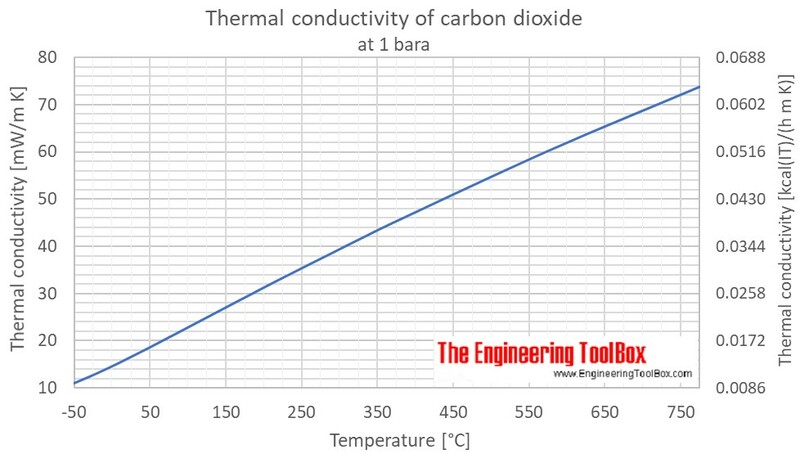 The calculator below can be used to estimate the thermal conductivity of gaseous carbon dioxide at given temperatures and 1 bara. The output conductivity is given as mW/(m K), Btu(IT)/(h ft °F), (Btu(IT) in)/(h ft2 °F) and kcal(IT)/(h m K). as well as thermal conductivity of air, ammonia, butane, ethane, ethylene, hydrogen, methane, nitrogen, propane and water. Engineering ToolBox, (2018). 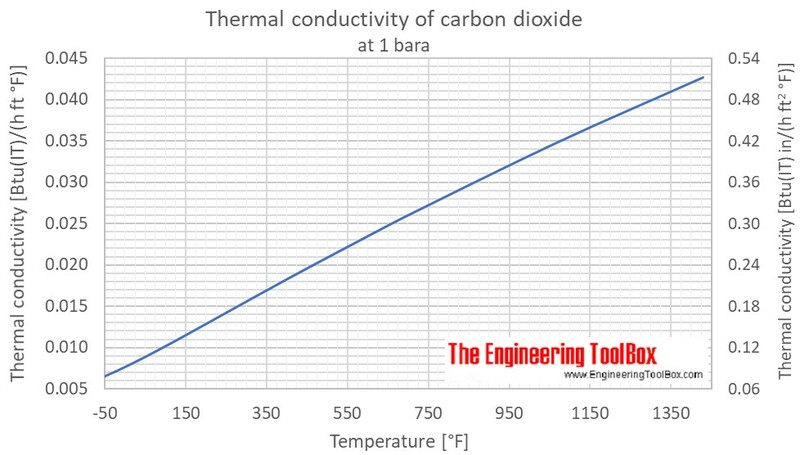 Carbon dioxide - Thermal Conductivity. 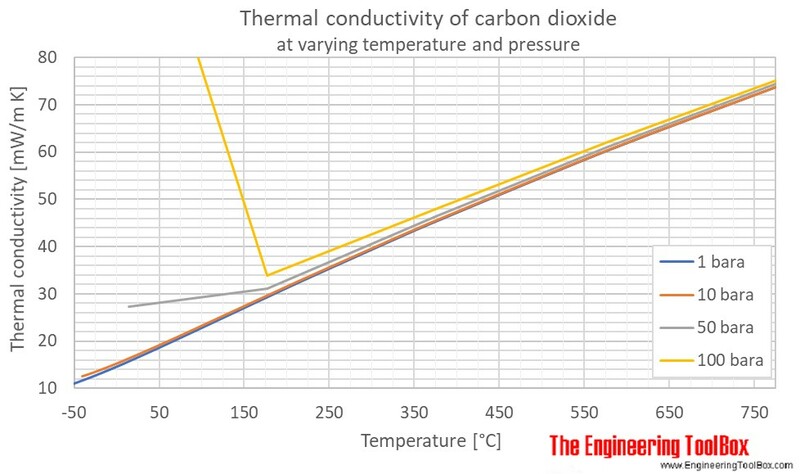 [online] Available at: https://www.engineeringtoolbox.com/carbon-dioxide-thermal-conductivity-temperature-pressure-d_2019.html [Accessed Day Mo. Year].